Asbestos Companies:Should you hire them? Upon completion, clean the entire area thoroughly with wet mops, wet rags, sponges, or HEPA (high-efficiency particulate air) vacuum cleaners. A regular vacuum cleaner should never be used. Ensures the work site is clearly marked as a hazard area. Do not allow household members and pets into the area until work is completed. Choosing an asbestos abatement company will know how to handle the asbestos removal process and will follow strict procedures to maintain any asbestos fibers from entering an environment. 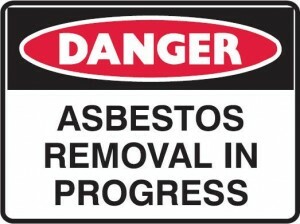 These are the procedures that an asbestos abatement contractor should follow and it may vary depending on the project. Alliance Environmental Group, Inc environmental division specializes in asbestos abatement. If you think your home or building contains asbestos, it is important to seek professional assistance. Alliance Environmental is a licensed asbestos removal company with extensive experience in properly containing the asbestos, complete decontamination of the site, and lawful disposal of the contaminated materials.